Increase the use and impact of scientific collections for interdisciplinary research and societal benefits. Expand the access, awareness and appreciation of scientific collections. Scientific collections can create exciting new approaches to interdisciplinary research. We're organizing workshops, conferences and networks around four global research challenges to demonstrate the impact of collections. We're organizing workshops, conferences and networks around four global research challenges to demonstrate the impact of collections. Scientific collections are part of everyday science, research and policy. We will report stories highlighting the impact of collections on both science and society. 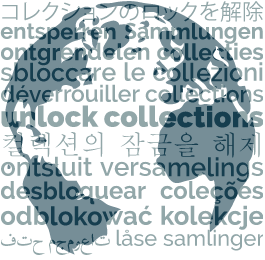 Our global registry of scientific collections acts as a one-stop-shop for collection information across disciplines and around the world. It allows researchers to find resources to further their work. Our global registry of scientific collections acts as a one-stop-shop for collection information across disciplines and around the world. Scientific collections are the objects that researchers collect for study and then preserve to confirm their findings in the future. Collections can often contribute valuable data to disciplines other than those for which samples were first collected, like finding air pollution samples in biological specimens. New technologies and analytical instruments unlock new data types from archived collections. Scientific collections are the objects that researchers collect for study and then preserve to confirm their findings in the future. Collections can often contribute valuable data to disciplines other than those for which samples were first collected, like finding air pollution samples in biological specimens. New technologies and analytical instruments unlock new data types from archived collections.